Sports betting has been a topic of wide discussion in the United States for the last few months and it is becoming more and more evident that entities operating in the gambling industry are looking forward to it. In the meantime, around the globe, more and more jurisdictions are turning to sports betting and this has prompted the official announcement of this year’s Expert Summit on Sports Betting Integrity which is going to take place in Porto, Portugal on 8th May. The Sports Integrity Global Alliance is a known entity in the gambling world which works towards providing the sports betting field with the proper protection and providing equal and fair rights to all participants in it. It aims to offer assistance and help against illegal actions taking place and promote fair play. There is also the policy of listening to people and meeting their needs, in order to offer the most assertive field. As it was recently announced, the Alliance is planning to give green light to the summit which is aiming to attract experts in the field and give them the chance to network and collaborate with each other. Portugal is going to host the new addition to the summit series organized by SIGA and many leading companies in the industry are expected to participate in it. 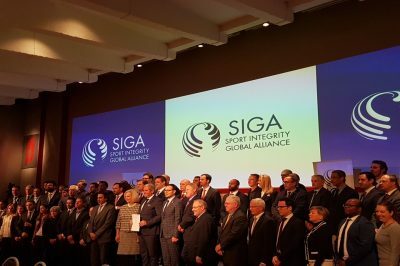 The summit is further supported by the partnership of SIGA with the Portuguese sports journalists’ representative association CNID (National Club of Sports Press), boosting the popularity of the cause and bringing more eyeballs to it. Among the businesses presenting during the summit will be Starlizard Integrity Services, which is a business devoting its efforts to research, betting, and data analytics in the sports betting field. One of the topics experts from Starlizard are going to present will be the results from a jointly-authored report that examines global trends in irregular football betting markets. The beginning of May is also going to bring the UK Conservative Member of the European Parliament for the East Midlands Emma McClarkin. Her participation in the summit has been confirmed and she is going to focus on the protection of sports values to the likings of fair play and respect in her presentation. Corruption prevention and battling in the field is also going to be part of her panel, making it a well-rounded one. Inside World Football is also confirmed to be featured during the summit as it is going to be represented by Paul Nicholson and his expert knowledge of the field. Tickets for attending the summit will be available for purchase at a special rate until 27 April. Every enthusiast will have the chance to purchase a ticket for the reduced price of €75, whereas the general admission tickets available following that date will amount to some €150. Journalists will have the opportunity to visit the summit for free.